Parathas are a great indian bread. Great to serve with a curry. 1. 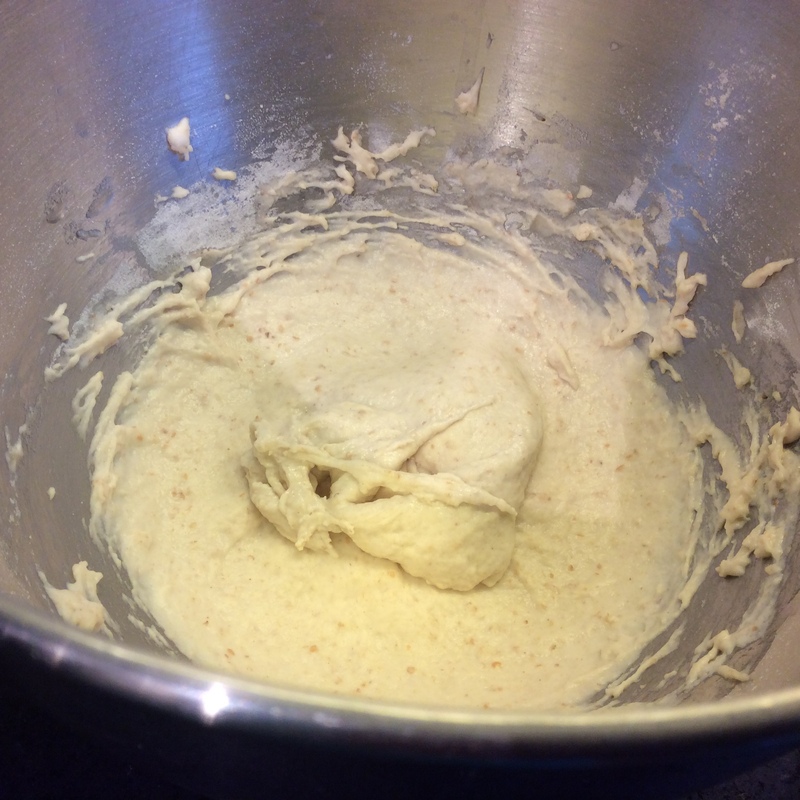 Put all of the dry dough ingredients into a bowl and stir well. 2. 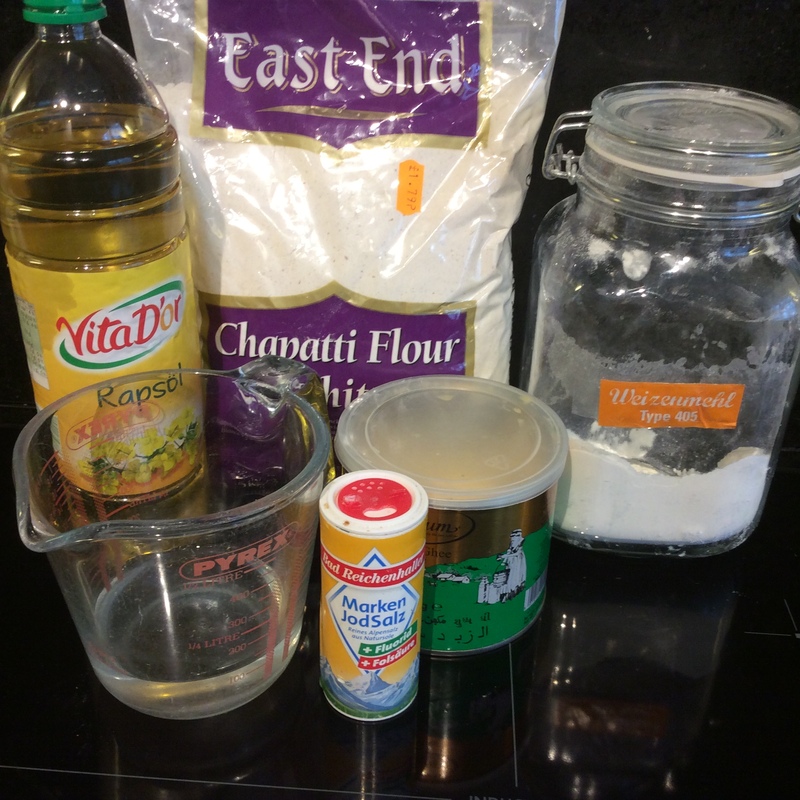 Add the oil and enough of the water until you have a soft dough. 3. 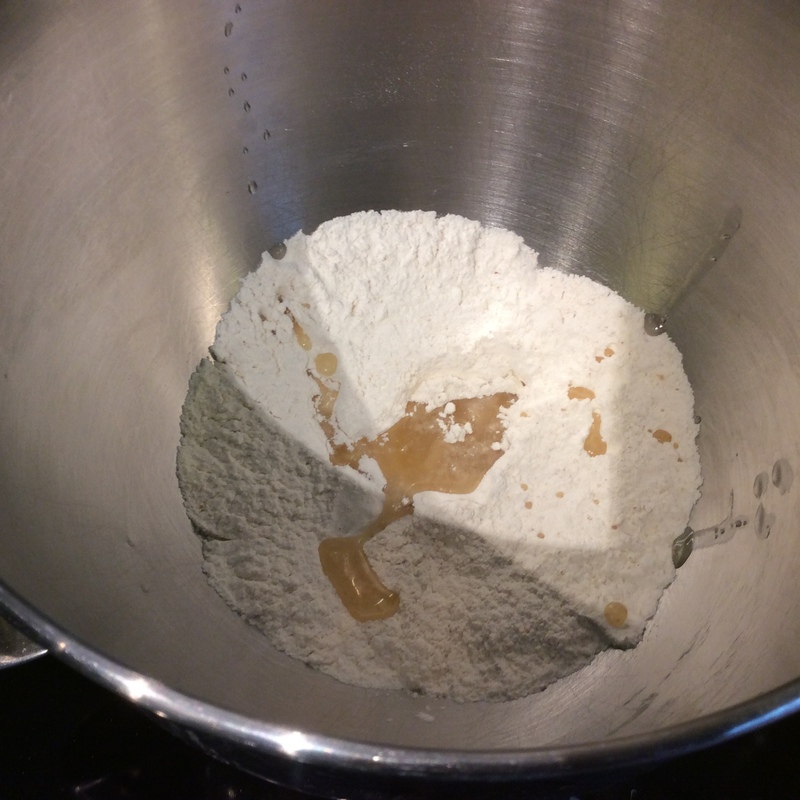 Knead for about 10 minutes by hand or 7 minutes by mixer until you have smooth dough. 4. Put into a lightly oil bowl, cover the bowl with oiled cling film and leave it to rest for 30 minutes. 5. On a lightly dusted work surface divide the dough into 6. Roll into balls and put 5 of the balls back into the bowl whilst you work on the first one. 6. Melt the ghee this can be done in the microwave for 30 to 60 seconds or in a pan. 7. 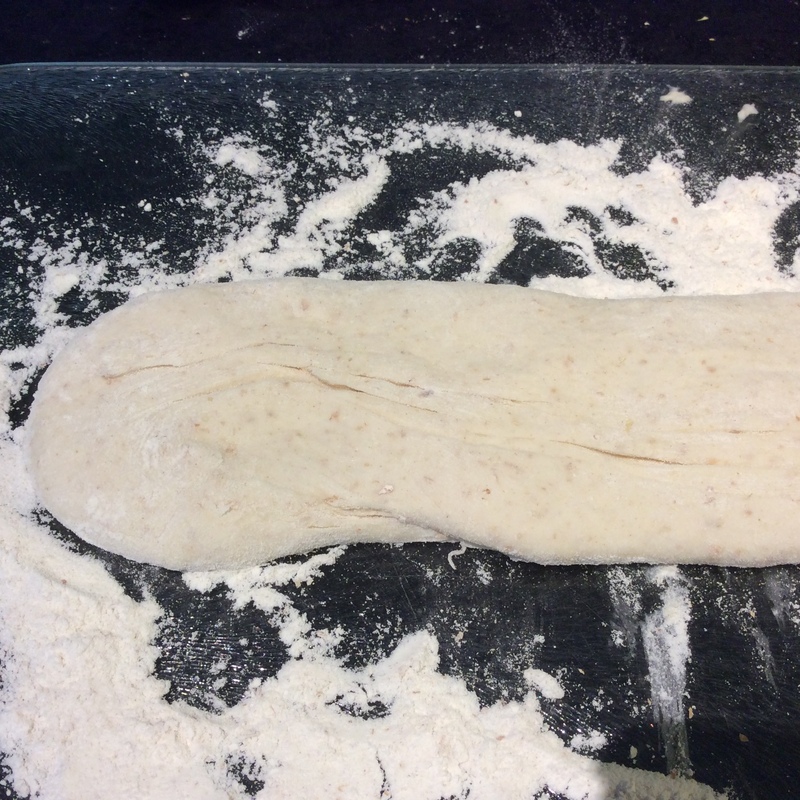 Roll the ball of dough out into a thin circle. 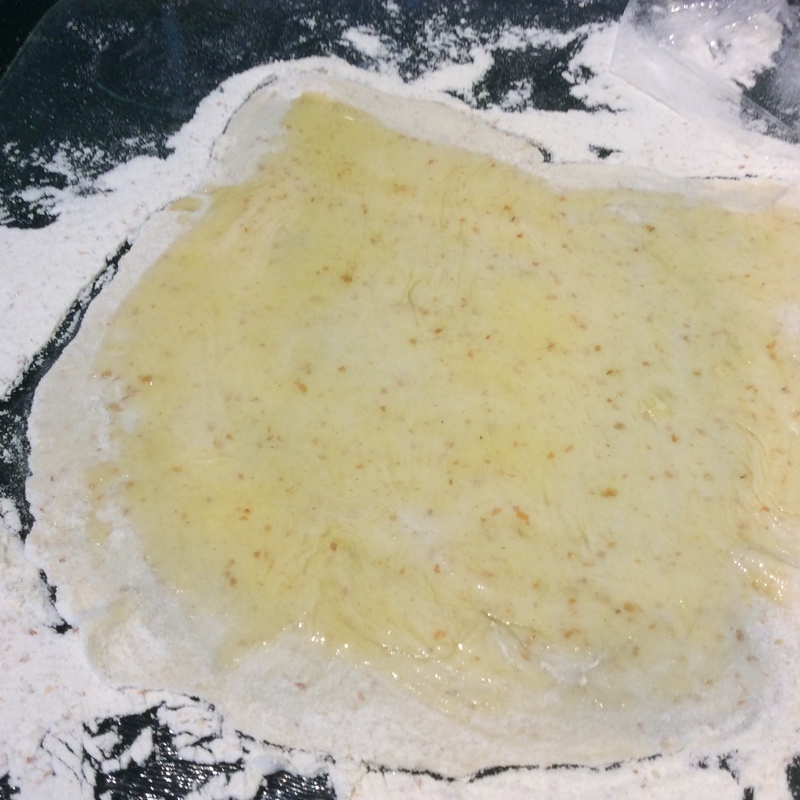 Brush with some of the ghee and roll up. Brush again with the ghee and fold in half again. 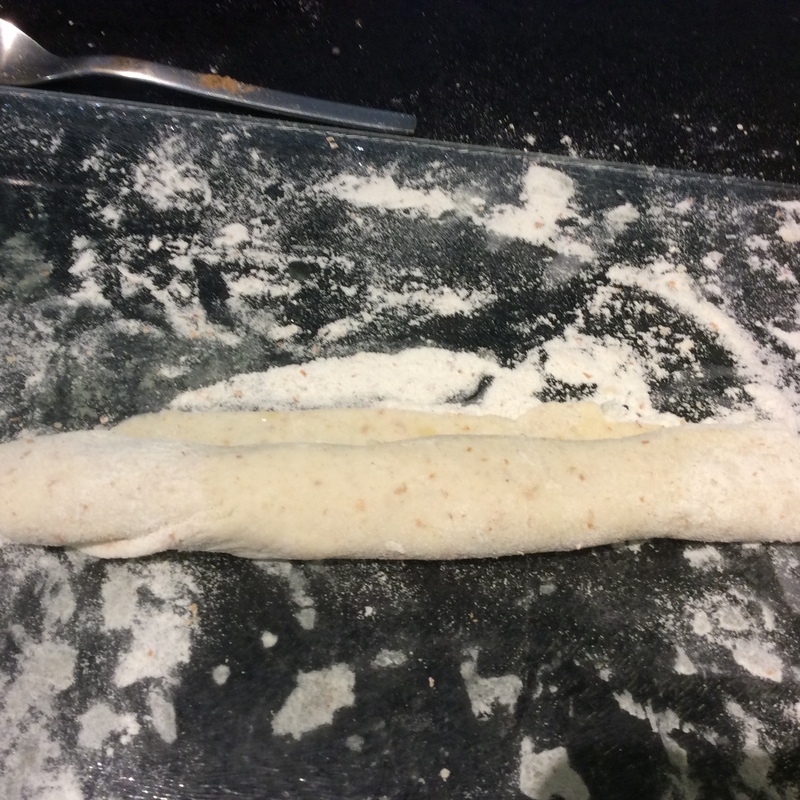 Fold the rolled dough back into a circle and then roll out with a rolling pin into a circle again. 8. Put a frying pan on a medium heat. 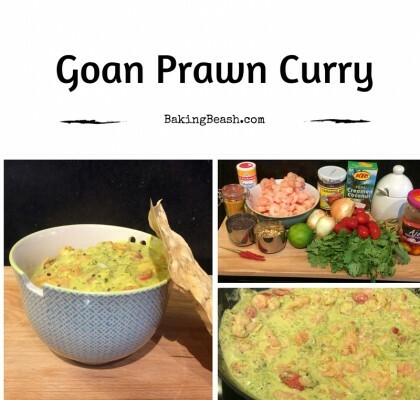 Add a little ghee to the pan. 9. 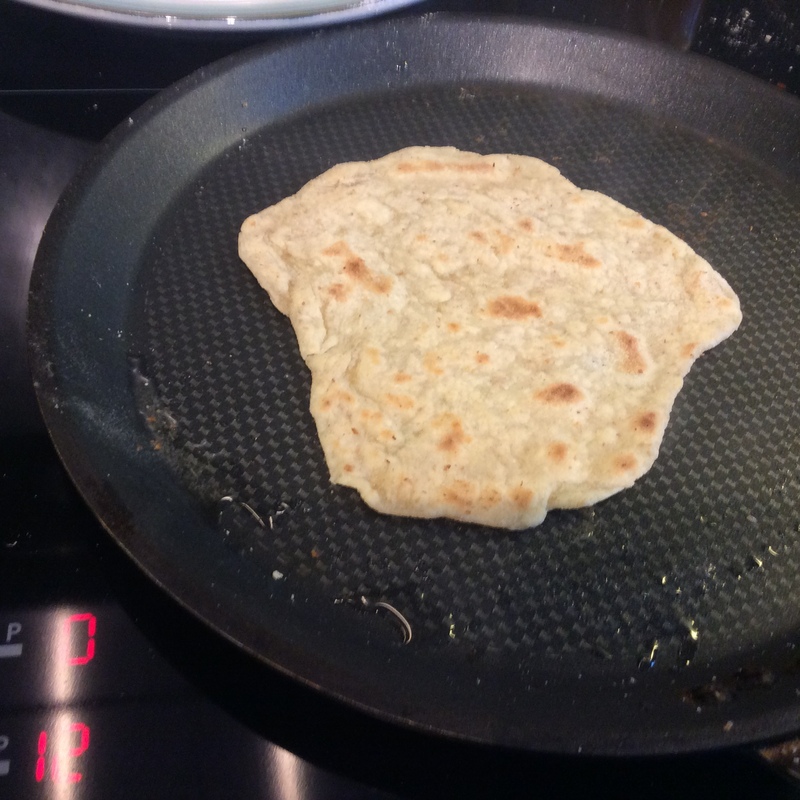 Cook parathas for 1 to 2 minutes on each side till it is crisp and has brown patches on it. Whilst it is cooking I get the next paratha rolled and ready. 10. Once cooked remove from the heat and keep it warm in a low oven. Repeat steps 7 to 9 until all are ready. 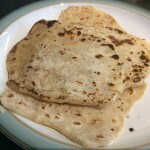 Parathas are very similar to make than the more common chappati. They taste even better as they have layers of ghee (clarified butter) in them giving the bread a rich flaky texture. 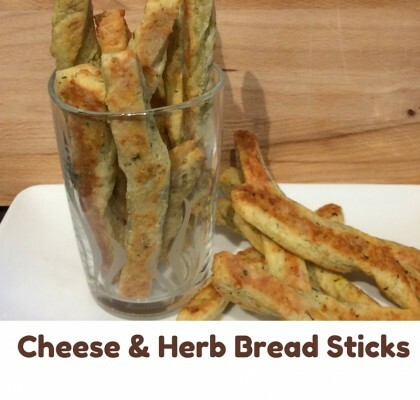 They are very easy to make as they are an unleavened bread. 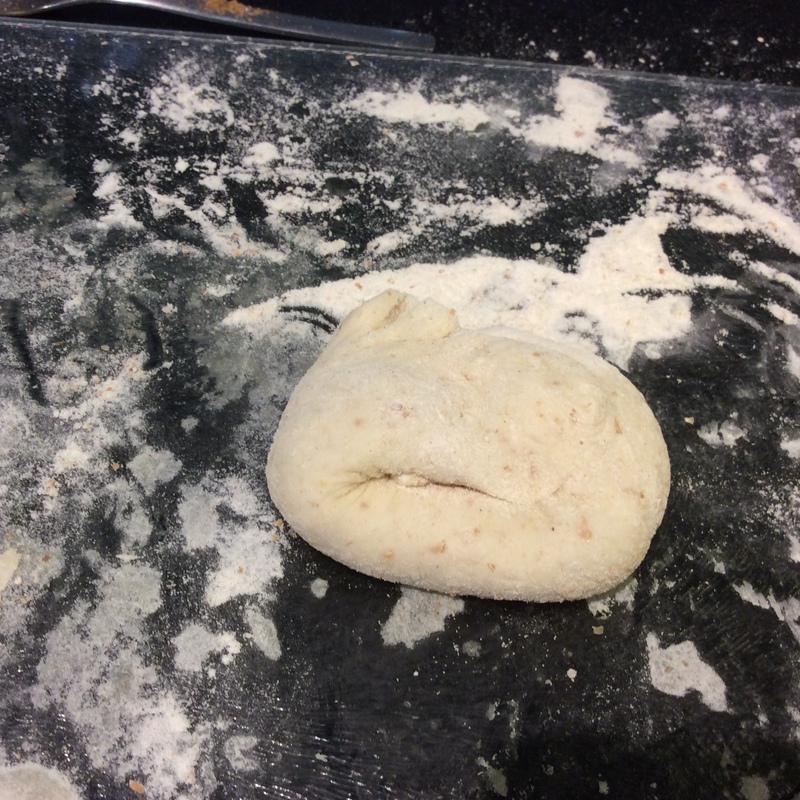 You need a bit of patience as you need to let the dough rest for 30 minutes before using. They don’t keep well once cooked. So The recipe here is enough for 6 parathas. 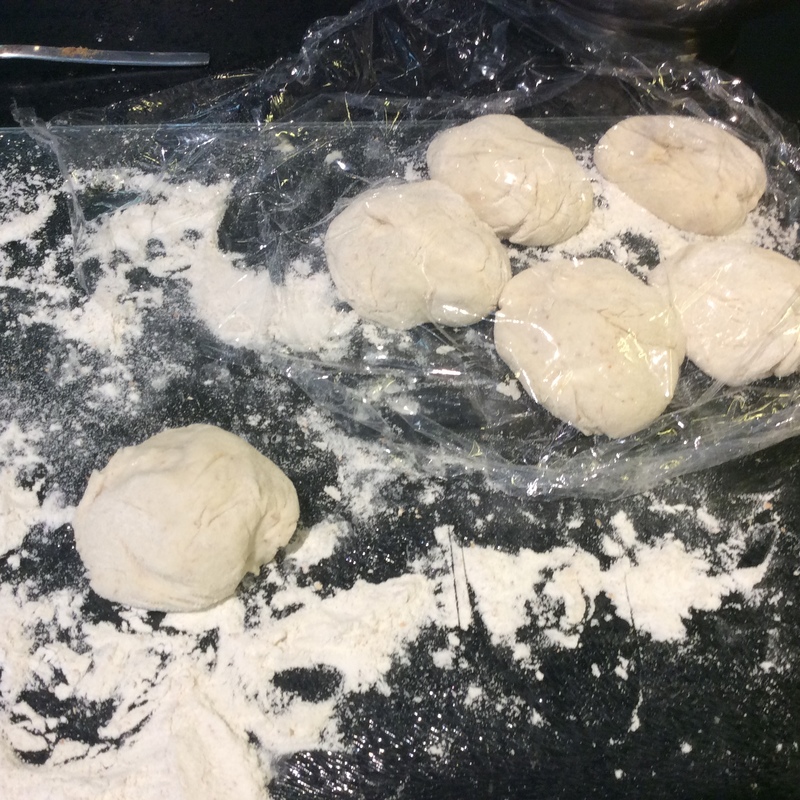 If you don’t need that many in one go, the uncooked dough will keep in the fridge for a couple of days as long as you store it in a plastic bag. 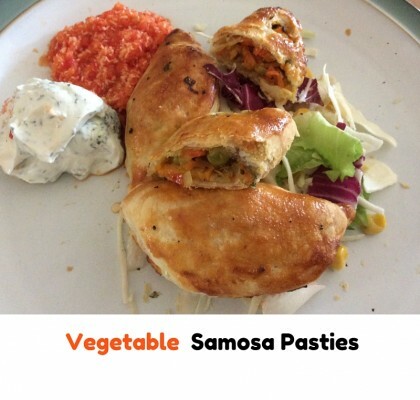 We had these with my veggie Spinach and Cauliflower Curry.